The MARDIGRASS Parade is not a spectator sport. 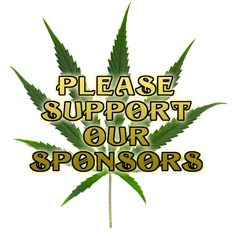 Please feel free to join the parade and show your support for pot law reform. Gather and get ready for the MardiGrass Parade!! Meet at the exit of the western car park, across the road from the Community Centre Market. The march is the main event, so please walk with us for cannabis law reform! This is our 27th consecutive annual Rally for Cannabis Law Reform. We vowed to Rally every year on the first Sunday in May until we are no longer criminals for using this herb. Prohibition is an incitement, not a control! MardiGrass will become a Festival when we can celebrate the herb without fear of prosecution and persecution. When the Police have a float in the street parade behind the Ganja Faeries, Big Joint & POLITE, then we really will have a proper festival and celebration. In the meantime, this annual event is a POLITICAL PROTEST RALLY. Led by the Widjibal Elders of the Bunjalung Nation, with children holding the Koori flag, the parade this year will start off at 2.30pm from the Western carpark and make its way south along Cullen street where it will turn left and head down past the Town Hall and Greenbank to the Hash Bowl Stage in Plantem Park for the Cannabis Law Reform Rally, speeches and MardiGrass Float Prize presentations. Just follow the GANJA FAERIES and the BIG JOINT!! The Ganja Faeries celebrate the spirit of MardiGrass. They dance behind the Bundjalung people who traditionally welcome the protesters to their country each year. Their dance has itself become a tradition simply because the laws remain unacceptable to all self respecting ganja users, be they Bundjalung, faeries or otherwise. Rally speeches from Bundjalung Elders, Michael Balderstone of the Hemp Embassy, Ganja Faeries and cannabis activists and law reformists from around the globe. Get out your fabrics, banners, paint brushes and sewing machines to get ready for the annual MardiGrass Parade Float Awards. Have a go at creating a float costume, banner, paper mache or sculpture about pot prohibition. Floats can be a vehicle for a powerful message about pot celebration and/or protest. We welcome floats that reflect our area, our people, our pride, our fun and festive spirit, and desire for a peaceful future. Law reform is the focus of MardiGrass and we encourage all to have a say! Prizes will be presented to the winning floats in Sativa Stadium after the Rally. SPontanous Art Event #imaginorium in Allsop Park. DRop in and get creative with local makers of sculpture, puppets and fun. #imaginorium is building some fabulous props for this years protest parade on Sunday. EVer wanted to be a more colourful part of protest? Get your creative skates on to paint, sew, cut and bedazzle!! Happening throughout Saturday and Sunday!